The makers of a green coffee extract product sponsored clinical trials of the supplement that showed good weight-loss results, but the FTC says the study was manipulated and conflicting data was left unexplained. Months after going after online sellers for creating fake news sites, complete with a fake reporter, to push green coffee extract as a miracle weight loss drug, the Federal Trade Commission has settled its case against one Texas company that supplied the product while unsubstantiated scientific claims about the efficacy of the supplement. According to the FTC’s complaint [PDF] against Applied Food Sciences, the company sponsored and subsequently relied on the same flawed study that TV’s Dr. Oz used when he touted green coffee extract as “the magic weight-loss solution for every body type” to the millions of viewers of his show. 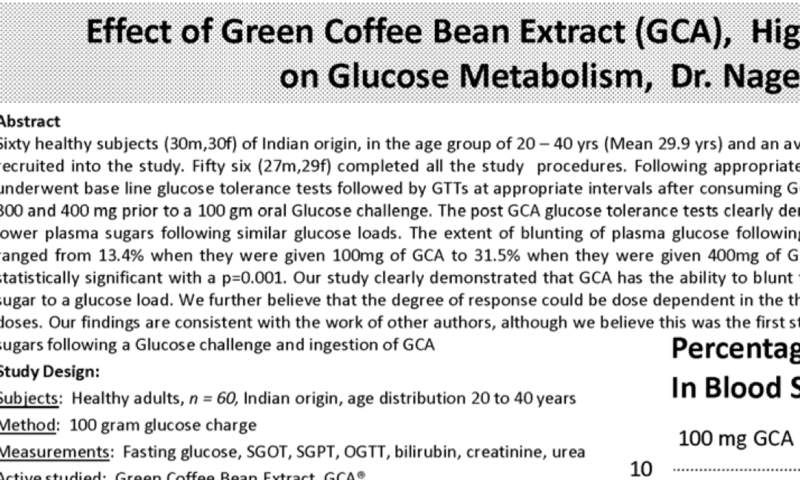 Among the problems with the AFS-sponsored clinical trials of green coffee extract, the FTC alleges that the principal researcher altered the weights and other key measurements of the subjects, changed the length of the trial, confused which subjects took either the placebo or green coffee extract at various points during the trial. And yet AFS repeatedly use this highly flawed research to tout its product to resellers, and even brought along one of the researchers to industry events to talk about his team’s supposed conclusions. The company’s marketing claimed that its product caused consumers to lose 17.7 pounds, 10.5% of body weight, and 16% of body fat with or without diet and exercise (even though participants in the study were instructed to watch their food intake and exercise more frequently), in 22 weeks. As part of the deal, AFS has agreed to pay $3.5 million and it can not make any weight loss claims about its products in the future without including at least two adequate and well-controlled human clinical tests. The company must also notify customers of the FTC’s conclusion that AFS lacked reasonable scientific support for the weight-loss and fat-loss claims it made. Dr. Oz’s gushing over green coffee extract, along with some other hyperbolic statements about supposed miracle weight loss drugs, landed him before a U.S. Senate panel in June, where he admitted that his enthusiasm for a product can lead to exploitation by unethical marketers.